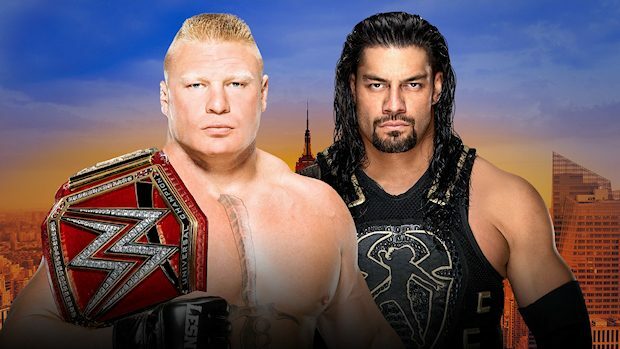 Tonight, SummerSlam comes to the Barclays Center in Brooklyn, New York, and the pay-per-view event will feature Universal Champion Brock Lesnar against Roman Reigns, WWE Champion AJ Styles against Samoa Joe, Raw Women’s Champion Alexa Bliss against Ronda Rousey, Braun Strowman against Kevin Owens with the Money in the Bank contract on the line, SmackDown Women’s Champion Carmella against Charlotte Flair and Becky Lynch, and so much more. 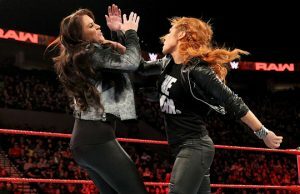 SummerSlam kicks off in just a few hours and the current betting odds have Reigns and Rousey favored to win their respective title matches. In his three previous matches against Lesnar, Reigns has been favored to win and this time is no different with “The Big Dog” favored at -145. Reigns ended up losing each time so betting against him is tempting considering the trend. Rousey is favored to beat Bliss for the Raw Women’s Championship, with Rousey at -300 and Bliss and +220. SmackDown Women’s Champion Carmella (+110), Lynch (+200) and Charlotte Flair (+230) are all considered underdogs for their Triple Threat Match, but Carmella has the best odds to win. Intercontinental Champion Dolph Ziggler (-130) vs. Seth Rollins (-110) is one of the tougher matches to call with their current odds. Strowman (-260) is expected to retain his Money in the Bank contract against Owens (+180), while The Miz (-195) is favored to take down his longtime rival, Daniel Bryan (+155).